Matthew M. Mataraso represents clients’ interests before the legislative, executive branches and regulatory agencies of New York State Government and has extensive experience in all phases of the legislative and administrative process including developing legislative strategies, and drafting legislation. Matthew’s clients include representatives of the securities, taxation, labor, insurance, finance, and telecommunications, manufacturing and academic fields. Mr. Mataraso has served as Assistant Counsel to the New York State Assembly Minority Leader and as Assistant Counsel to the Speaker of the Assembly. In addition, he was Assistant Legislative Representative to New York City Mayor John Lindsay and Counsel to the Assembly Committee on the Affairs of the City of New York. 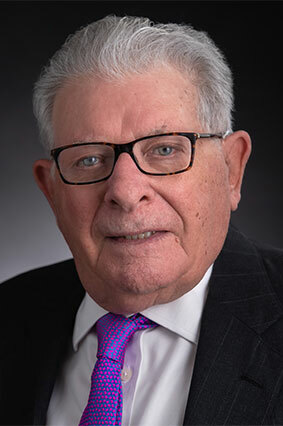 He is former President of the Albany/Schenectady County Magistrates Association and is a member and Chairman of seven years of the Board of Trustees of the College of Saint Rose in Albany. He is also a Trustee of the Albany Law School. He was Chairman of the Council of Governing Boards and a Trustee of the Commission on Independent Colleges and Universities.